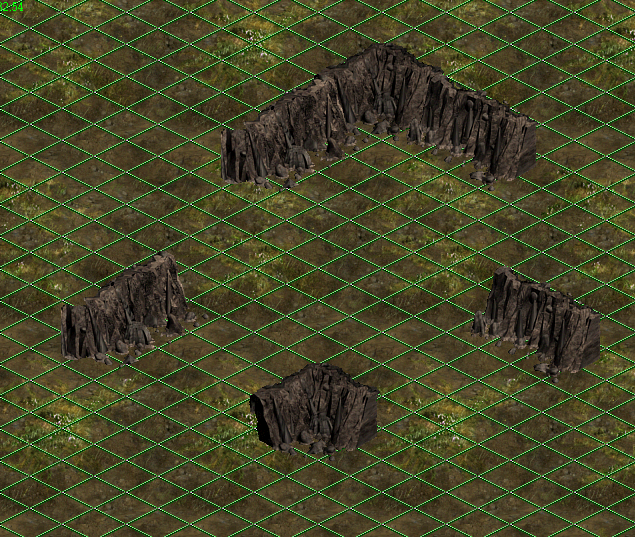 The article explains how the game DIsciples 2 handled fake elevations. 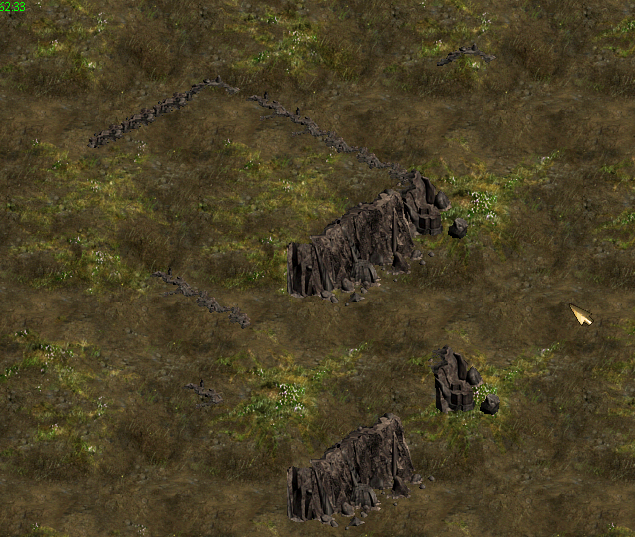 Disciples 2 used a rather common method to fake elevation. 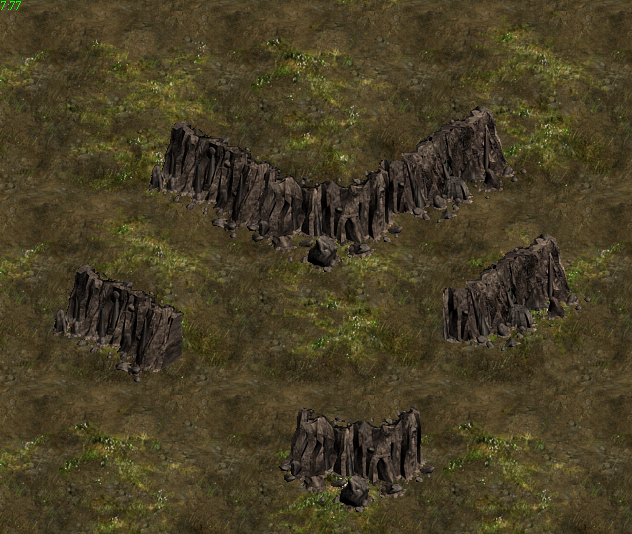 This was already seen in other 2d games such as Red Alert 1 and similar. Map objects were made in such a way to represent cliffs and when put together the effect is rather nice (the cliffs were made from modular parts). 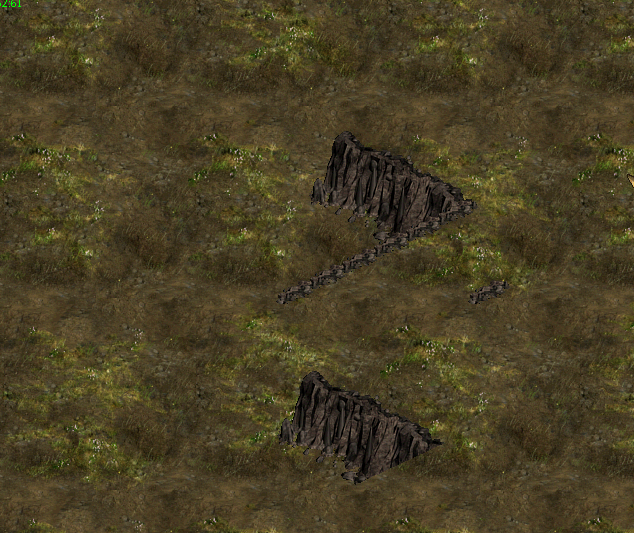 There is no actual elevation here, just the impression of it. 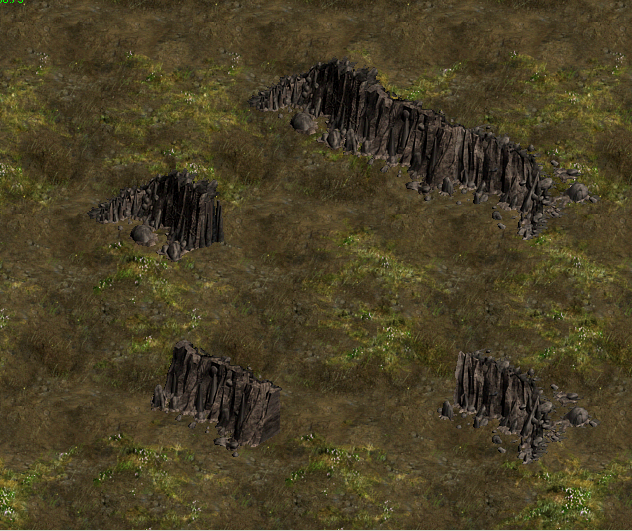 These cliffs were complemented by other objects which didn't have the modular ability to be combined as the cliffs were. 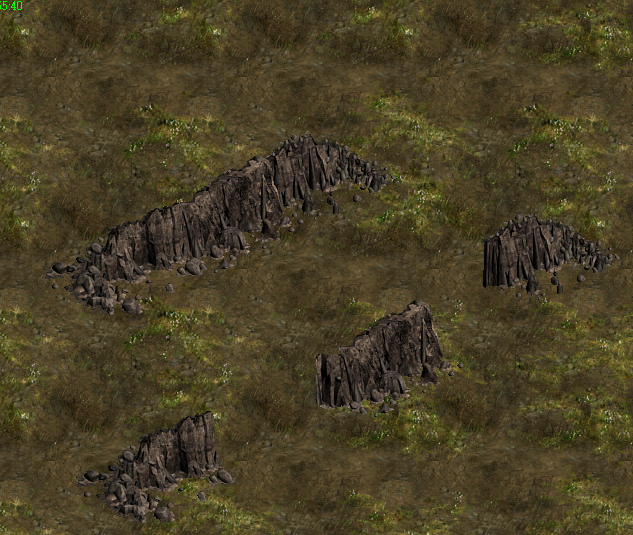 Below is a zip of a study of the Disciples 2 cliffs, the screenshots are from the map editor. 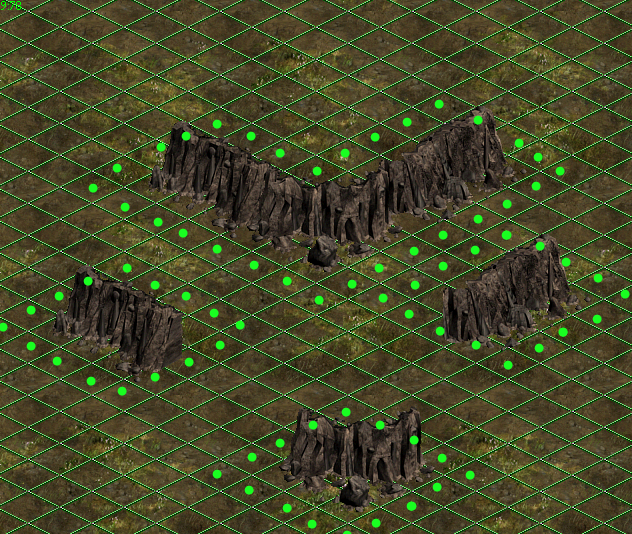 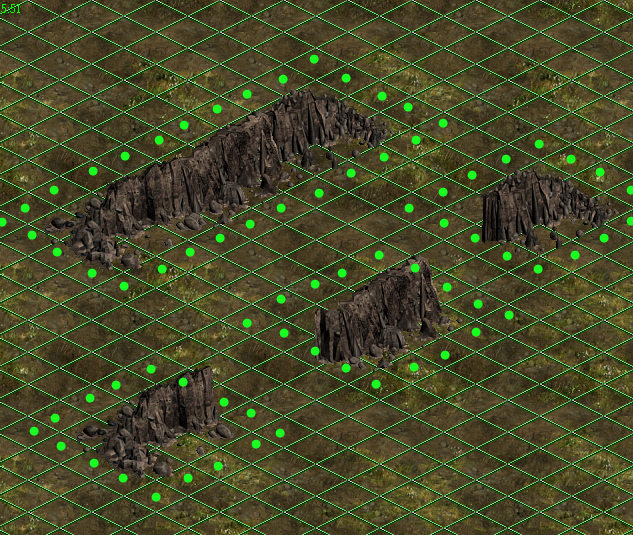 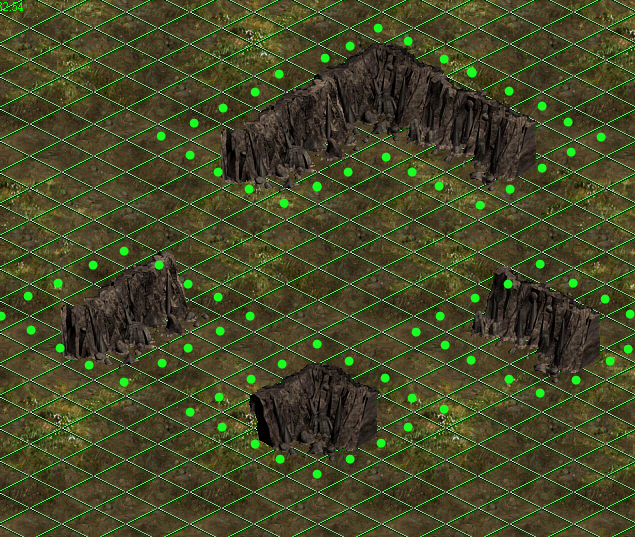 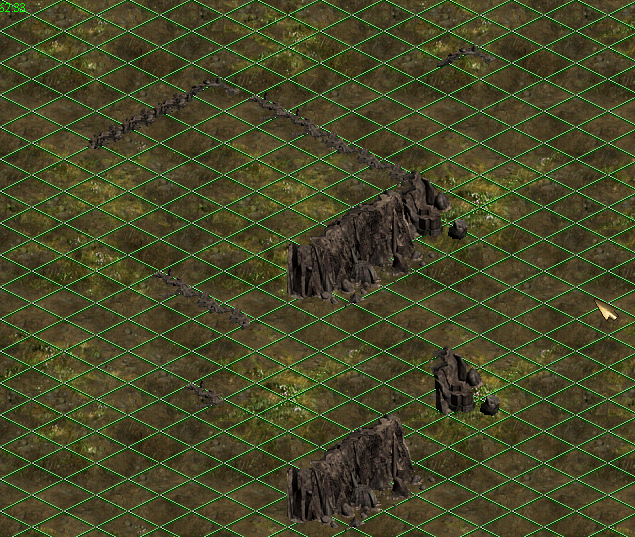 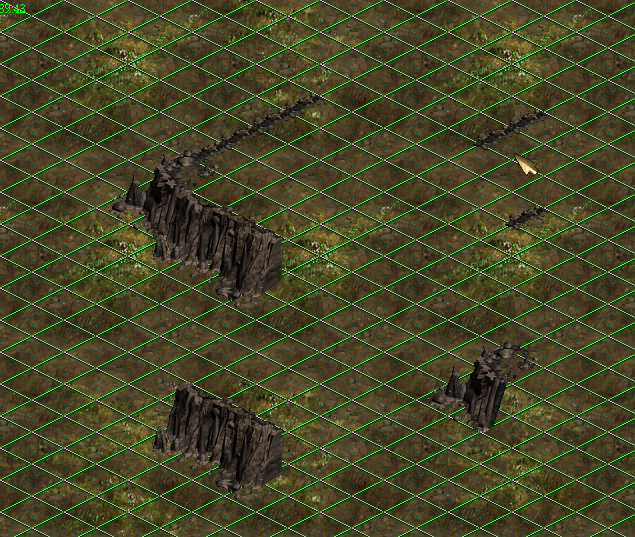 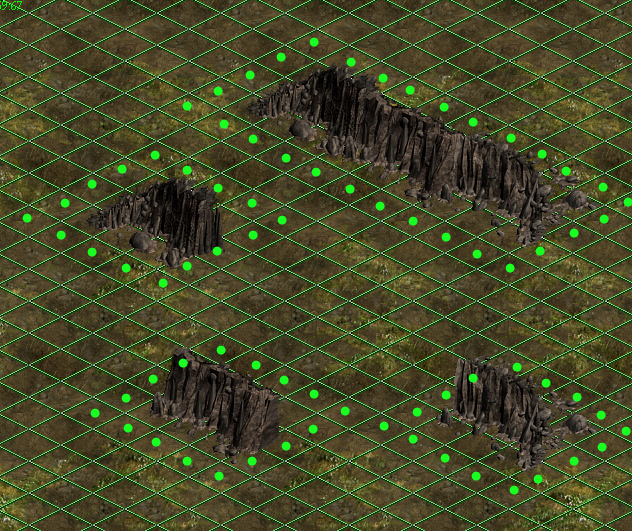 The green dots mark the passability of the grid around the cliff objects. 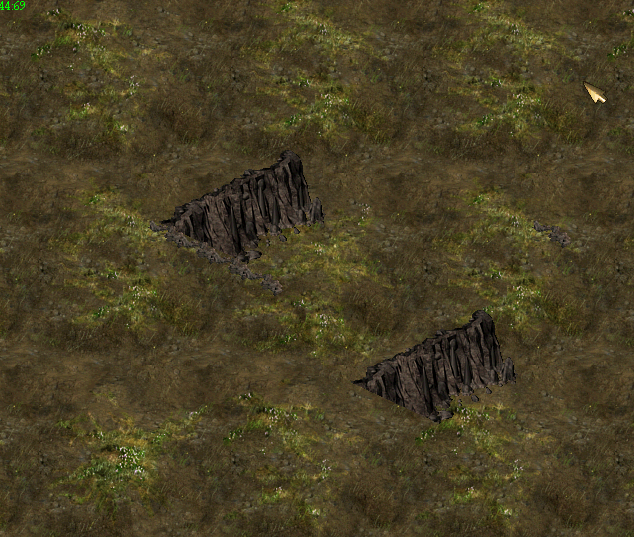 The cliffs are very square-like. 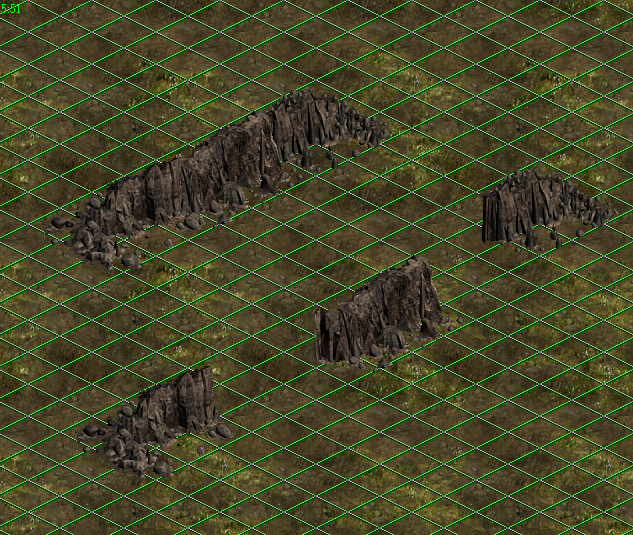 Given so much space (3x3 tiles for most cliff objects) they could as well be made more interesting, more slopped, not as vertical. 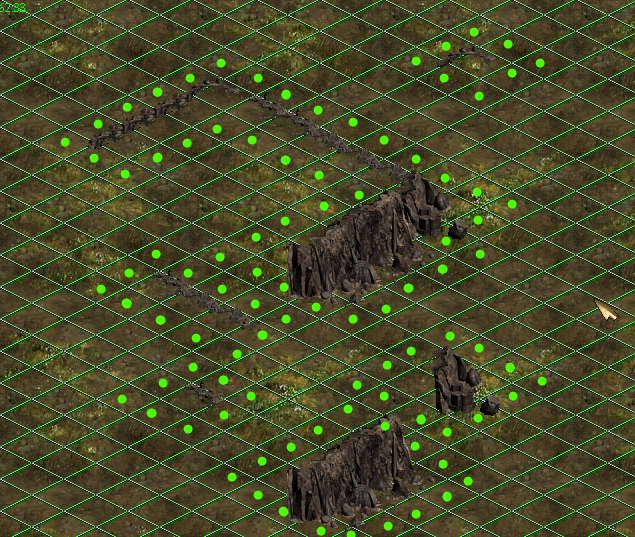 In addition, they follow the grid in parallel, and are mostly positioned at right angles. 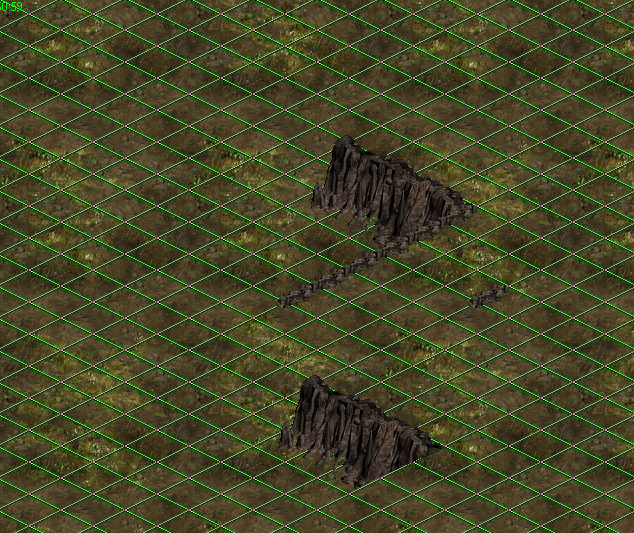 The reason is probably that there are only square/rectangle pieces possible in the engine. 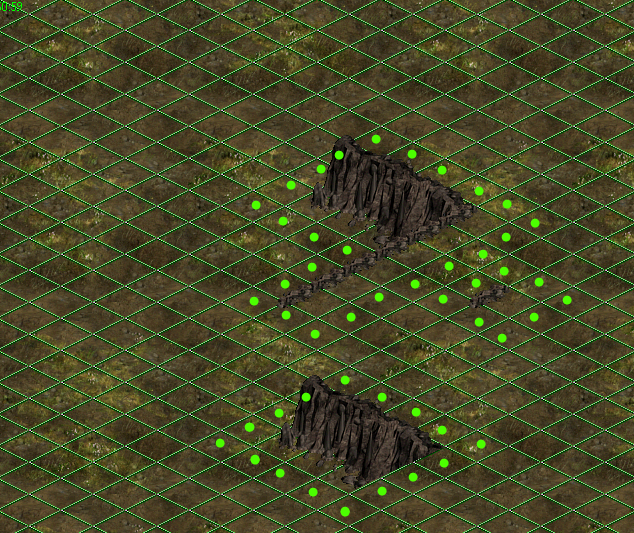 By using larger rectangle pieces, like 3x5 or similar, we could achieve more diversity. Examples of such diversity are Red Alert 2 cliffs (which also used non rectangle pieces) and Out of This World cliffs. 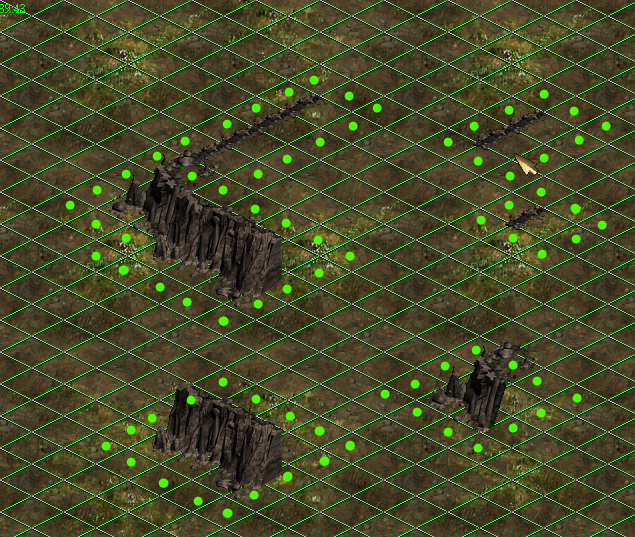 This page was last modified on 17 March 2009, at 12:32. 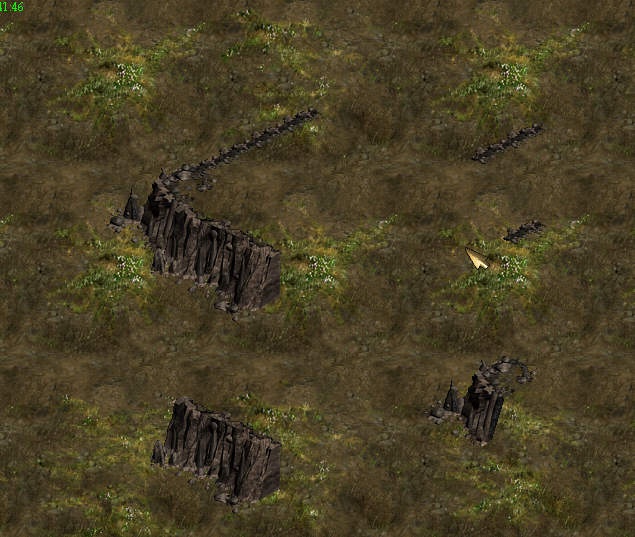 This page has been accessed 8,313 times.